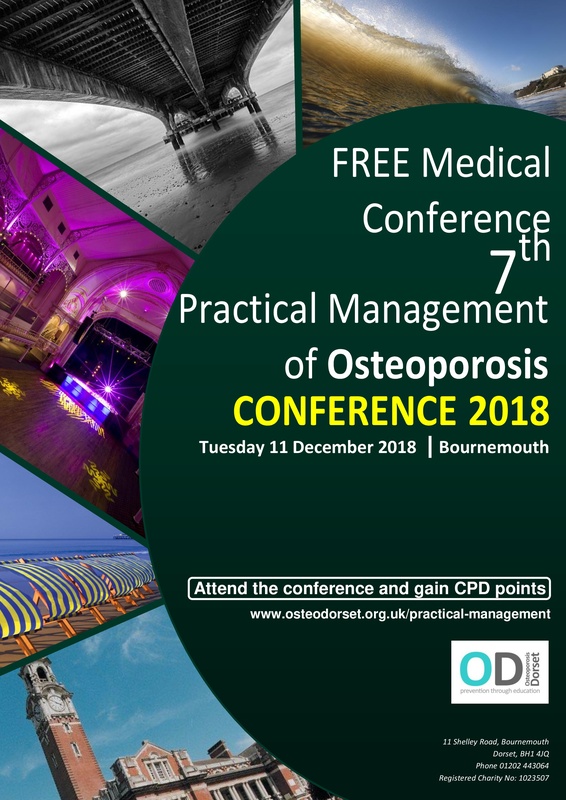 On behalf of Osteoporosis Dorset we like to thank everyone who support the 2018 annual medical conference in Bournemouth. Over 270 delegates and international renowned speakers in the field of bone health came together to share and hear the latest information in osteoporosis. Don’t miss out on your chance to attend our annual conference in December 2019. If you or any of your colleagues would like to join us, please complete the form below. If you would like to attend day 1, please click on “managing osteoporosis conference” to your left for more information.